Email is the lifeblood of any company, essential for business continuity and productivity. But significant IT resources may be needed to coordinate email on desktop, laptop and mobile devices; protect email from malware or unauthorized use; and keep communications running quickly and reliably. EverSafe Secure Hosted Exchange meets your business continuity and productivity goals with fast, safe, accessible and reliable email while freeing you from the hassle of owning and managing your own mail servers. EverSafe Hosted Exchange establishes device synchronization (including PCs, smartphones and tablets), content filtering, comprehensive protection from malware and tools to regulate email delivery and monitor email traffic. It prevents malicious attacks such as denial of service (DoS) and directory harvest attacks (DHA) from ever reaching your network, thereby saving precious email server and network resources. Provides unlimited storage and secure archive. Delivers continuous online access to email in the event of hardware outage. Allows easy addition and removal of users and services. Filters spam; protects from malware; and quarantines questionable email. Lets you set spam level, blocked and approved senders and other parameters. Stops instant messaging (IM) threats. Reports on traffic, spam, connection level attacks, viruses and other parameters. Permits automatic and seamless updates and upgrades to protection. 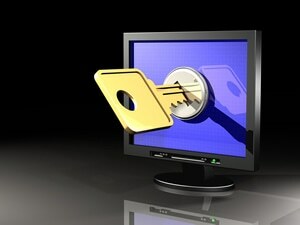 Provides a choice in secure data centers (US or Europe). Supports you with 24/7 access to the EverSafe Service Desk. Secure Hosted Exchange is set up under a monthly, per-mailbox fee that ensures that your IT budget is predictable month after month. Like all EverSafe products and services, our Secure Hosted Exchange is customizable to your business continuity, protection, productivity and compliance goals. Try EverSafe Secure Hosted Exchange for FREE for 30 days! Call 1.866.400.4802 today. Website - To learn about your company. Number of Users - About how many people will use the services? How did you hear of us? Help us spend our marketing $$ well.